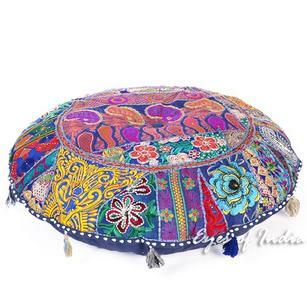 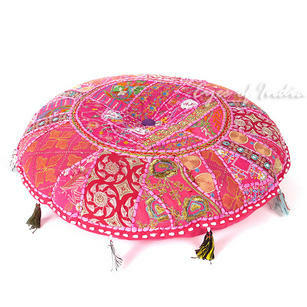 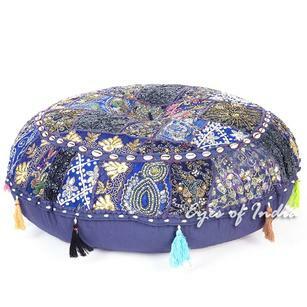 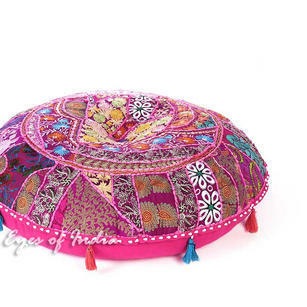 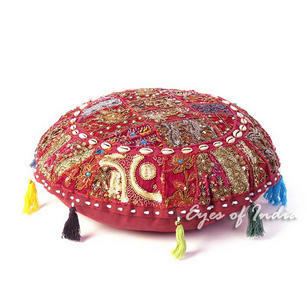 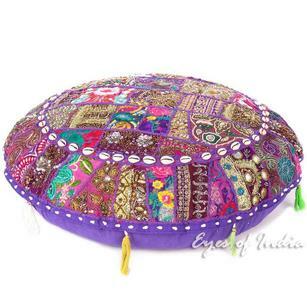 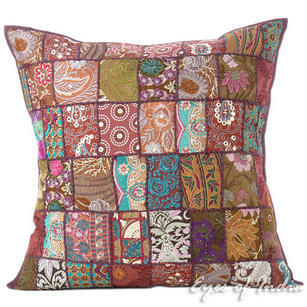 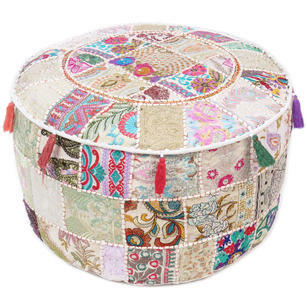 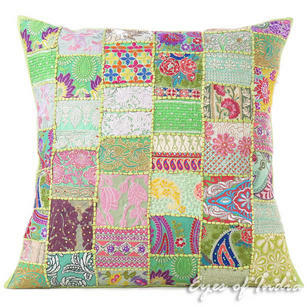 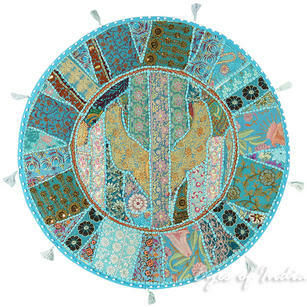 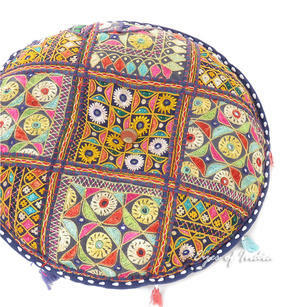 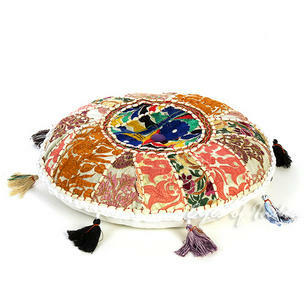 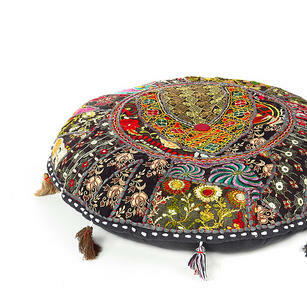 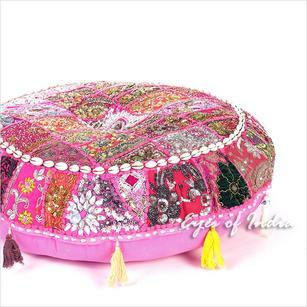 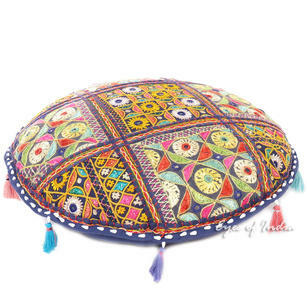 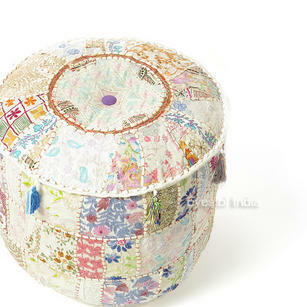 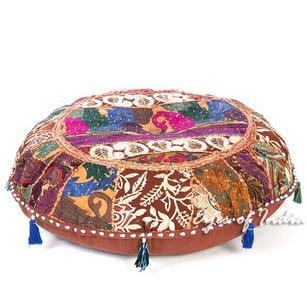 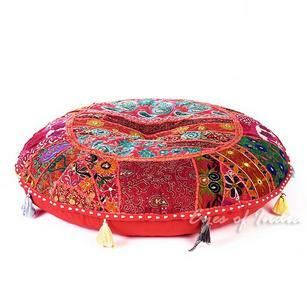 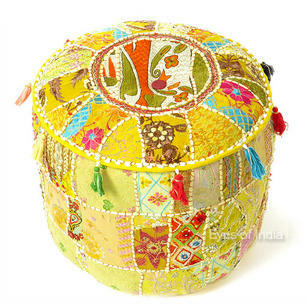 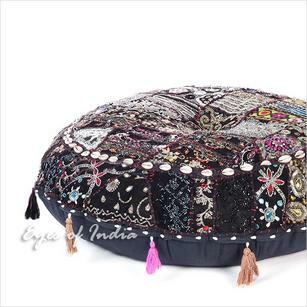 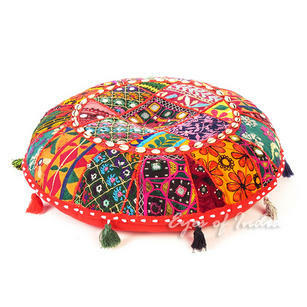 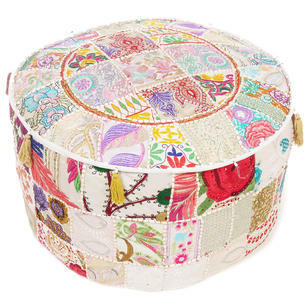 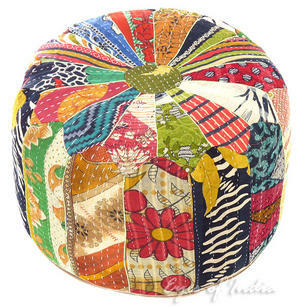 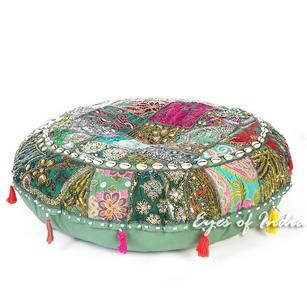 | White Patchwork Round Boho Bohemian Ottoman Pouf Pouffe Cover - 22 X 12"
I bought two poufs and they are really beautiful!!! 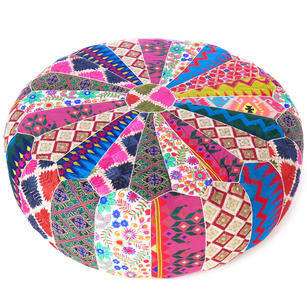 without doubt my living room will look wonderful now... 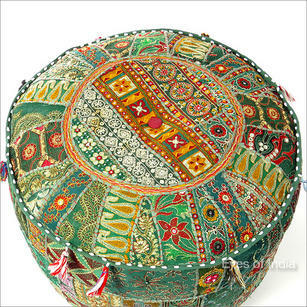 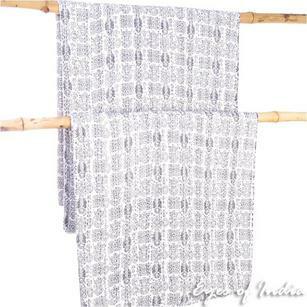 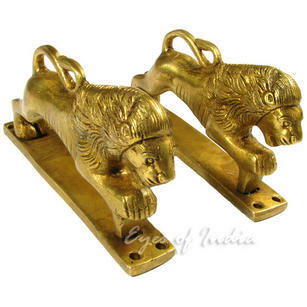 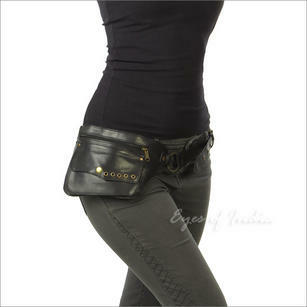 Thanks, and congratulations to the Indian people who made such a nice items.